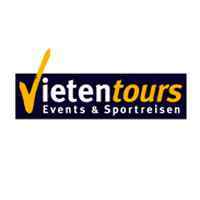 After a successful three-year cooperation, EHF Marketing GmbH and Vietentours have announced a renewal of their cooperation for a further year as travel and ticket partner for the VELUX EHF FINAL4. Handball fans will be able to continue to benefit from the established know-how of the German tour operator specialised in top-class sport travel. “We look forward to developing our partnership into an additional fourth year. In positive discussions we identified room for improvement and our objective is to attract an even bigger international audience,” said David Szlezak, VELUX EHF FINAL4 Manager. The VELUX EHF FINAL4 is the culmination of the European club handball season and therefore a prestigious platform for Vietentours. “The VELUX EHF FINAL4 is one of the major sports events in the world and therefore a big player in our portfolio. After three successful years we expect an even greater demand for travel packages for the 2013 VELUX EHF FINAL4,” said Ingo Frieske from Vietentours. Handball´s elite meet for the fourth time in a row in the LANXESS arena, Cologne to compete for the prestigious VELUX EHF Champions League title. The sale of tickets has started and there has been an incredible demand for tickets, and with more than 12,000 tickets sold, last year´s benchmark has already been surpassed.